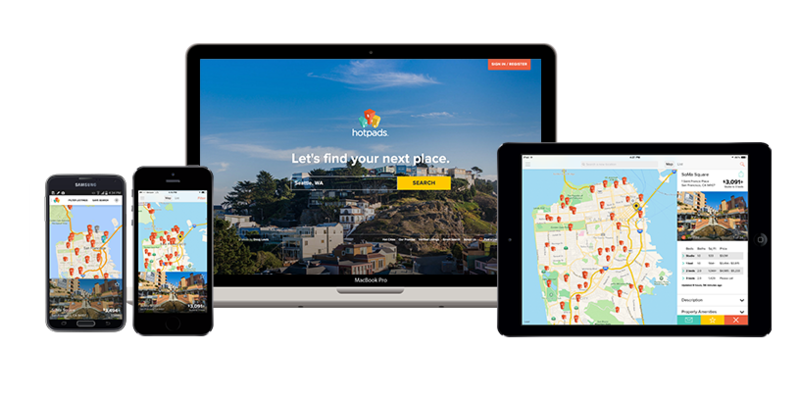 HotPads® is a leading map-based apartment and home rental search brand, and a top destination for renters in urban areas across the United States. With features focused on recency and speed of listings content, HotPads helps renters find their next home quickly and easily, with a robust website and five mobile apps. Launched in 2005, HotPads is based in San Francisco and is owned and operated by Zillow Group.